Google’s parent company Alphabet can easily afford the $2.7 billion write-down it’s taking to cover a big antitrust fine in Europe. But it might find it harder to shrug off the rest of the European regulatory assault that’s headed its way. In June, a European Commission ruling slapped down Google for abusing its market dominance in search by unfairly directing visitors to its comparison shopping service, Google Shopping, to the detriment of its rivals. The regulators not only imposed a huge fine, they also insisted that Google change the way it provides search results in Europe. Alphabet is still mulling an appeal of that ruling, which could take years to get through the European Court of Justice. And that case is only the first of several such investigations that have embroiled Google across the Atlantic, a situation that raises uncertainty about its ability to operate freely on the continent going forward. After a seven-year antitrust probe, the European Commission concluded that Google stifles the ability of rivals like Yelp to compete. That’s a different standard than in the US, where regulators tend to step in only when consumer prices go up due to monopolistic power. Europe’s top antitrust regulator, Margrethe Vestager, said Google “denied other companies the chance to compete on the merits.” Google says it’s giving consumers what they want: product listings with pictures and prices, saving them the trouble of repeating a search on another site. In two other cases, the commission charges Google with allegedly forcing its Android smartphone partners to favor Google’s apps and limiting the way its ad-partner websites can display search ads from Google rivals. An Alphabet spokeswoman said Monday the company had nothing to say on the matter beyond its blog response to the fine last month, in which it painted itself as an underdog in product search compared to Amazon. It’s unclear how constraints on its behavior could affect it, but 33 per cent of Alphabet’s revenue – roughly $8.5 billion in the latest quarter – came from the region it calls Europe, the Middle East and Africa. Beyond the fine, Alphabet faces a penalty of up to 5 per cent of its average daily turnover if it doesn’t give equal treatment to rival comparison shopping services in Europe by late September. It’s up to Google to figure out how to do so. 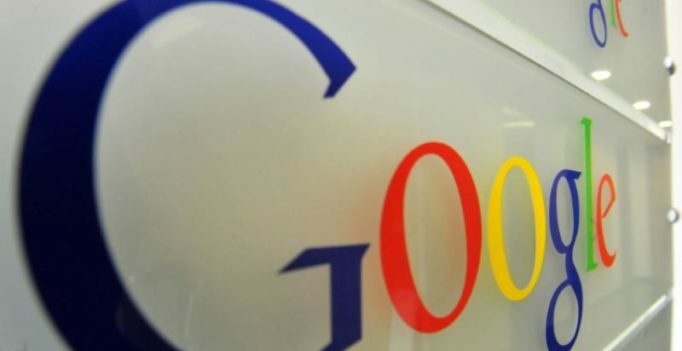 Google’s previous offers to the commission to change its search results were rejected. That’s why it’s confusing trying to predict what a solution would look like, says Mark Ballard, head of research for Merkle, an ad agency that represents Gap, Crate&Barrel and other big online ad spenders. On Monday, Alphabet Inc. reported second-quarter earnings of $3.52 billion, down 28 per cent from $4.88 billion a year earlier; that figure includes the effect of the $2.7 billion European fine. Adjusted earnings were $8.90 per share, below the $10.26 analysts were expecting, according to FactSet. Revenues rose 19 per cent to $20.9 billion after subtracting commissions it paid out, right on par with expectations. Alphabet shares dropped more than 3 per cent in after-hours trading, to $966. Plenty of observers believe Google won’t be unduly harmed by Europe’s decision. New technologies – like voice search – could make shopping listings mostly irrelevant, argues Martin Utreras, vice president of forecasting at eMarketer. “It’s not like they have complete control of the market in any case.” And companies still fond of the search giant will still likely spend money with it, no matter how results change, Ballard adds. He Drops A Phone, And This Man Picks It Up. What He Does? DISGUSTING.